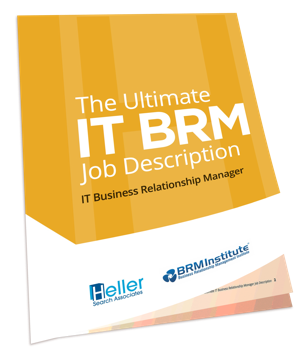 When the team at Heller Search Associates had the idea to produce a definitive IT Business Relationship Manager job description (part of our Ultimate IT Job Description e-book series), we were confident that a collaboration with BRM Institute would guarantee the most complete, authoritative, up-to-date job description template – one that hiring managers would value and appreciate. From our work on earlier projects with BRM Institute co-founder Vaughan Merlyn, and Board Director Joe Topinka, we knew that our views on the BRM profession and its impact on industry were closely aligned. Over the past few years, alongside CIO, CTO and CISO search assignments, Heller Search has been retained to recruit an increasing number of IT BRMs for our clients. Most often, the hiring manager is a CIO in need of an IT BRM to work closely with a particular business unit or function. To elevate IT to the role of strategic business leader, IT must move beyond solely providing services, and share ownership of both business strategy and business results. IT must transform itself from ‘order-taker’ to ‘business -partner’. To my mind, the business relationship management capability is a key driver in allowing IT to thrive in this strategic role. While, in the past, IT’s role was to enable business strategy, technology today is defining the business strategy. 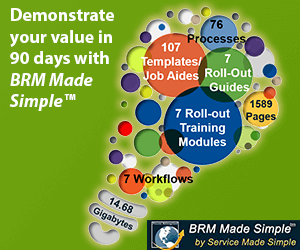 In an environment where the line between IT and product development is not always clear, our CIO clients rely on IT BRMs to shape IT demand and deliver business value results. IT BRMS are “blended executives” who possess a diverse, highly prized set of skills and experiences. As such, good IT BRMs are hard to find, so companies in search of BRM professionals should know exactly what skills and training they need BRM candidates to bring to the table. Heller Search Associates and BRM Institute teamed up to create The Ultimate IT BRM Job Description to help CIOs, CEOs and their HR and talent acquisition partners produce a definitive profile of an executive who will maximize the convergence of IT and business, and fulfill on the promise of business relationship management. 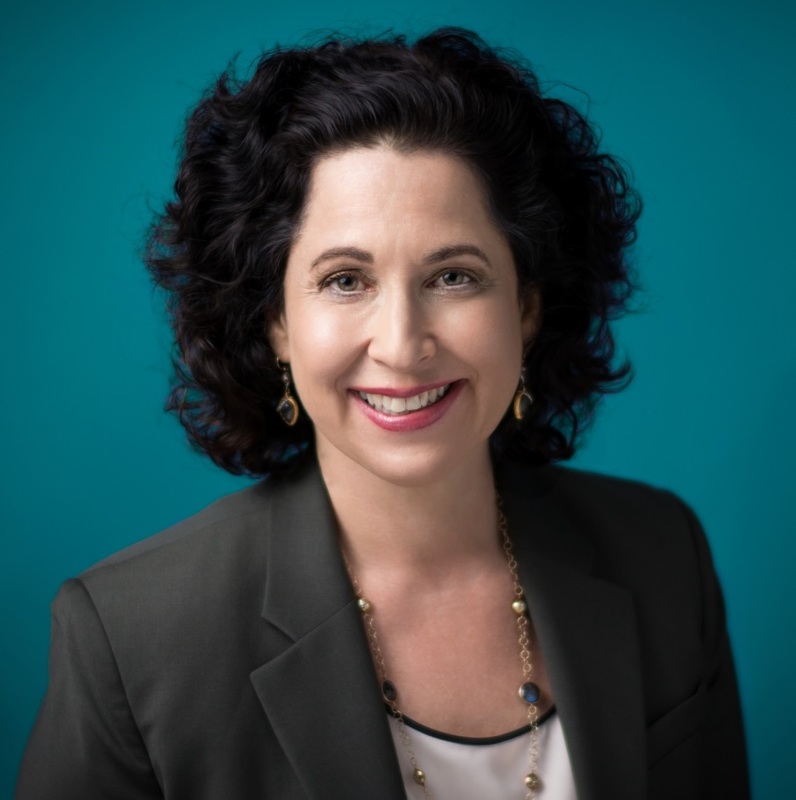 Martha Heller is founder and CEO of Heller Search Associates, an executive search firm specializing in IT Business Relationship Managers, Chief Information Officers (CIO), Chief Technology Officers (CTO), Chief Information Security Officers (CISO) and other technology leaders. Prior to her career in executive search, Martha was a writer for CIO magazine (IDG), and she continues to write the Movers & Shakers blog on CIO.com. Her most recent book is BE the BUSINESS: CIOs in the New Era of IT.